San Ġiljan’s Matthew Zammit shoots at goal during a league match. The first phase of the BOV Premier Division is over, with the six teams divided into the top and bottom pools set to fight it out for the final placings. The title play-offs over two rounds between defending champions San Ġiljan, league leaders Neptunes and Sliema will certainly generate some keen encounters. The Reds and the Saints are six and five points, respectively, ahead of the Blues, with each team having four matches to play. In the first round there was a freak 15-5 Neptunes’ win over San Ġiljan, followed by the two leading teams’ five-goal victory margins when they faced Sliema in the second round. The other three matches involving these title contenders were drawn. While San Ġiljan and Sliema could rely on longer and homogeneous squads bar some occasional absences, Neptunes have so far confounded many despite having just about eight reliable units in their standard formation. Unlike most of the other coaches who could spread their resources during the matches, Neptunes coach Zoran Maslovar rarely went deep into his squad’s tail except on very few occasions when victory had already been secured. His strong core philosophy has so far been a winning card. Tha Saints’ massive capitulation against their neighbours in their third league match was soon put behind as eventually they regained their earlier rhythm and power play to sweep to convincing wins. Sliema generally looked flaky and could only offer rare pockets of resistance against sides considered as their peers. The Blues’ 12-4 KO quarter-final defeat against San Ġiljan last Saturday has added to their woes as their challenge for honours appears to have fallen apart so far. From now on a reality check takes centre-stage as the three sides battle for supremacy. Chances taken or missed on open play and extra man-sets, efficient blocking, individual striking skills, nerves and staying power can tilt the balance in any team’s favour. Another dominant factor will be the teams’ mentors who are out to extract the last drop of sweat from their players while adopting the most flexible tactics. 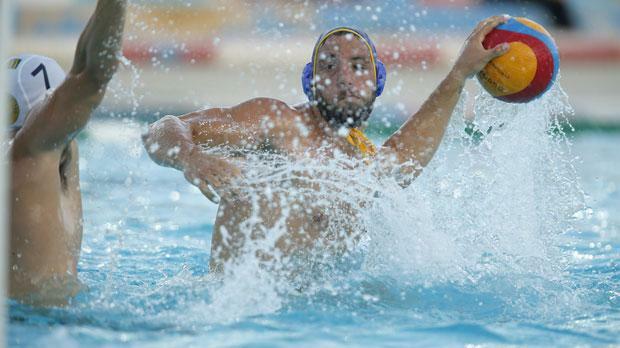 The upcoming six matches are bound to build up to a peak as tension, amid correct sporting behaviour, is expected to run high in the thrilling environment which waterpolo creates. The lower pool play-offs between Sirens, Valletta and bottom side Exiles will not result in any tangible changes in their status unless the team that finishes last falters in the play-out against the First Division champions. The improvement one could notice this season in the Sirens and Valletta teams, and the sturdy fare offered by Exiles, should also guarantee some keen duels. Meanwhile, the race for the First Division honours is already over as the impressive Marsaxlokk, under the charge of Ian Azzopardi, wrested the title from Marsascala after an absence of 16 years. With Otters occupying the bottom place the only issue to be decided is the runners-up berth which sees the vastly improved Ta’ Xbiex bidding for that spot at the expense of Marsascala. Finally, the telling element of refereeing cannot go unnoticed. So far, the level of control by the officials has been more than satisfactory even in balanced matches normally classified as ‘difficult’. One augurs that this will prevail. Premier Division: 6.15pm Exiles Jetfreight vs Sirens Ritter Sport; 7.30pm Sliema Betsson Group vs Neptunes Grimaldi.